Taking it on oneself to buy a braai can be a daunting task if you are not clued up on all the ins and outs of what goes into the various models and more importantly which model would best suite the situation you find yourself in. This buying guide has been compiled to assist you in the decision making process. Even if you decide not to buy from us – we still want you to make the right decision! How many people you plan to be cooking for? How often you plan to be cooking with your braai? What you will be cooking most often? Where will be the braai be used most regularly? Whether or not cleaning and maintenance are important to you? We’ve also integrated these exact categories into our online shop filter system which makes it really easy to filter according to your exact specifications and ultimately ease the ‘buy a braai’ process. From the above questions we’ve put together 5 categorical explanations, with tips, that will help you make the best buy a braai decision to help you find the perfect braai for your needs and lifestyle. Price, as in all product markets, is generally determined by features, size and quality. Not to say that the cheaper models aren’t of quality – it really depends on the required purpose of the braai. Outdoor portable, smaller models tend to be cheaper than the bigger standalone gas unit(For self-explanatory reasons). – They usually include an array of cooking methods from roasting, spitting, searing, baking and powerful grilling capabilities. When considering your buy a braai budget, think about the previous questions and decide if you’d rather get something on the entry level side for practical convenience or if you are willing to spend a little more to get all the features to experiment with and the durability and quality that will last longer and come with a better warranty. One of the most debated topics in the braai community of South Africa. If you want the full list of pro’s and con’s have a look at this article we dedicated to this topic here. Generally speaking die hard braai fans tend to prefer the wood/charcoal option for the smokey flavouring and because kuiering around the fire has become such a big part of the South African braai culture and vibes. 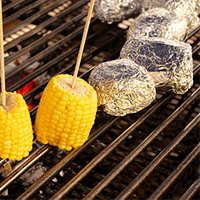 A braai is, in fact, more than just a cook out – it goes deeper than that. A con worth mentioning is that a charcoal braai will only allow for one surface area and temperature to work with, this require more work and probably some skill(Which is also part of the whole experience right?). If you choose this option and you looking to use the best wood to enhance the experience – check out this article on the various wood types that we put together. Gas is convenient, easy to clean, provides consistent temperatures and is perfect for an any time, easy to use and quick to get going option. There’s nothing wrong with gas and it can easily produce just as awesome tasting food as any charcoal option. Also with multiple burners(including side burners for sauces and vegetables) you can cook different food at different temperatures on different surfaces – so the versatility is great. Note: The amount of burners range from 1-6, more burners does not always mean a better braai. Extra burners are great for various temperatures surfaces enabling one to cook various foods at the same time. It’s important to know that the quality of the burner(Determined by BTU output, BTU stands for British Thermal Unit and is one measure of the horsepower of your grill – This metric tells you how hot the grill can potentially get) is more important than the amount of burners as it determines the temperature possibilities, to know more read here. The distance between burners also correlates to the overall surface temperature as less burners on a bigger surface could lead to colder spots. The distribution of heat is very important if you want to cook that perfect steak, every time, for everyone attending the braai! We’re still new to the whole electric braai, it seems a bit to far removed from what braai is suppose to be about. Either way, if thats what you are looking for, each to their own. When you buy a braai you must consider if it’s for the weekend get togethers or for the mid-week quickies, both fuel types can provide for both options – its really up to you and what would suite your current lifestyle – are you all about the fire vibes and atmosphere or more convenience orientated? This is one of the more important aspects when contemplating to buy braai and enhance your weekend as it directly relates to how you plan on using your braai and where its going to fit into your entertainment area. If you are only cooking for 4 people or less – consider something in the small/outdoor entry level price range. If you are serious about stepping up to the braai master plate and catering for more than just a few people LARGE is the only way to go. Coated aluminium – Known as the more cost-effective option but still a great conductor of heat. It’s less durable than its counter parts and can warp if not taken care of. 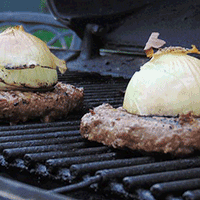 Stainless steal – The most durable of all the grill materials and also the easiest to clean. It might not have the actual cooking quality of cast iron but its a great logical choice and is usually associated with the larger gas grills. Cast Iron – retains the heat better than any other metal, so great for cooking and getting the perfect sear or burn marks. It last forever! Although it does require intensive cleaning and regular oiling to keep it clean and ready to use. Porcelain coated – Known to be rust resistance and easy to clean. Usually found on the top of the range models and comes with flavour bars next to burners that create a smokey flavour when hot juices fall from the meat. Chrome plated – Looks great but not as durable as the stainless steel and so maintenance is necessary for this material. 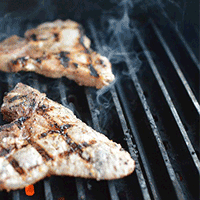 Consider how often you plan on using your braai, how many seasons you plan it being around and how important the maintenance and ease of cleaning is to you. Stainless steel and cast iron are the go-to materials, generally speaking, coated porcelain is the top end. At the end of the day the better care you take of your braai the longer it will last, we’ve got a whole ranging of awesome protective covers and cleaning units to help you. Extra TIP: If you plan on using only direct heat cooking(Over open flames) then a hood/lid is not necassary. If you plan on doing roasts, spits etc then consider taking a unit that allows for indirect cooking. All our brands have and products have warranties and also offer spares and services and if we don’t have it we will source the part for you, free of charge. 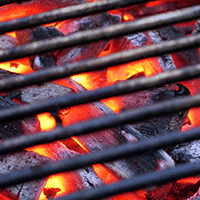 (Just e-mail [email protected]) If you’d like to know our buy a braai returns policy check here. Finally with these powerful tips and now that you know everything there is to know next time you decide to buy a braai, simply go to our shop page and filter what you would like. If you have any additions or notes you’d like to add to our current guide, please send us a mail! We reward any kinds words or helpful criticism. We are 100% committed to providing the best information for and by the community.